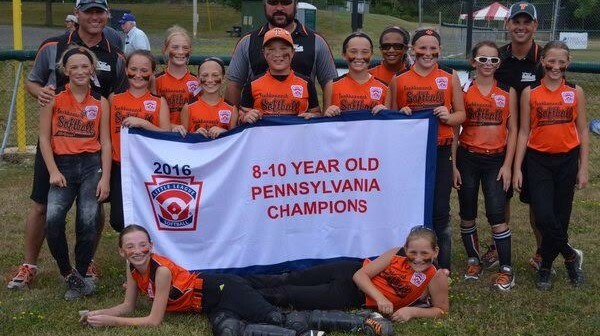 The 8-9-10 Tunkhannock softball team shows off its District 15 banner after beating Troy 7-0 at Strumski Field in Tunkhannock. Team members include (front, from left) Ella McNeff, Cali Wisnosky, (middle), Julianna Roote, Paige Marabell, Kaya Hannon, Karley Lockard, Hallie Brown, McKenzie Hannon, Lily Parr, Elaina Kulsicavage, (back), coach Chris Lockard, Sydney Huff, Alexis Gilroy, coach Mike Marabell, and manager Tim Hannon. 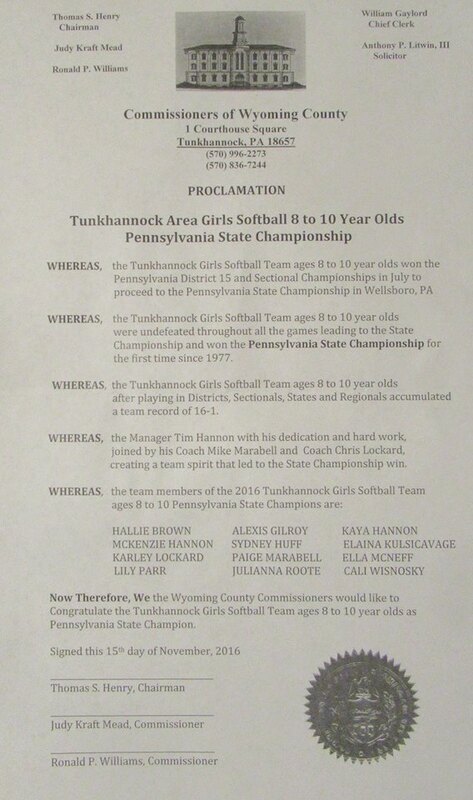 The Wyoming County Commissioners approved the proclamation (below) at their Nov. 15 meeting. 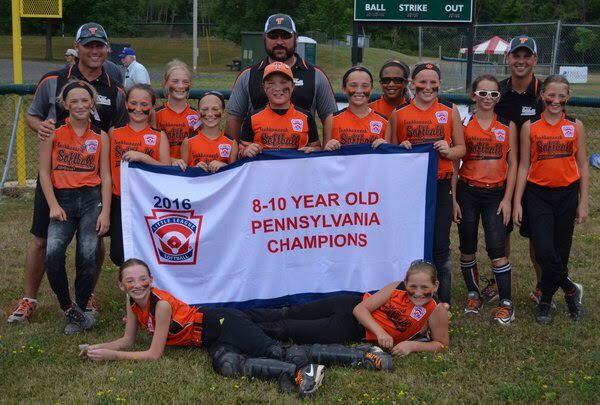 They will present a signed copy to each of the members of the Tunkhannock 8-to-10-year old Girls Softball team at the Triton Hose Company on Nov. 27.